I’m determined to finish 2017 (and fix my NetGalley percentage). Week 51 covers December 18 – 24. We’re almost at the end. As always, your feedback is appreciated. I’m going to bounce right in. 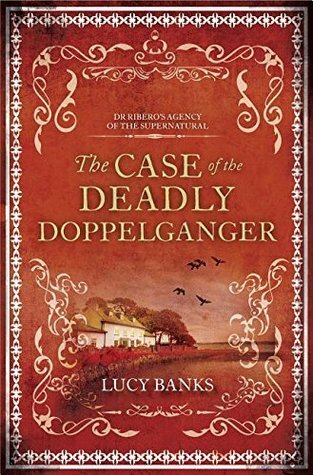 The Case of the Deadly Doppelganger by Lucy Banks – I received this as an e-book from the publisher via NetGalley. This is Dr Ribero’s Agency of the Supernatural #2. I thought this was really fun. The agency works to solve supernatural mysteries. In this one, elderly people in Lyme Regis are dying unexpectedly after seeing a mirror image of themselves. There are too many to be a mere coincidence, so the government hires Dr. Ribero’s agency to hopefully stop the murders and solve the case. It was really clever. The author has clearly done the research into local lore. The plot moves at a great pace and the characters are very likable. I would definitely recommend this to mystery lovers. I’m giving this 4 stars. 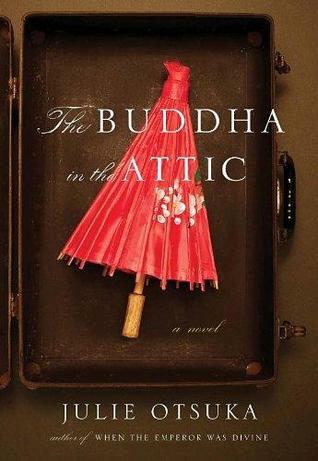 The Buddha in the Attic by Julie Otsuka – I borrowed this as an e-book from the Boston Public Library. This was the January book club pick for Boston Bookworms. We picked it because it was absurdly short. Because we knew we’d be busy. This claims to be a novel, but there aren’t any characters, despite having a plot. The author has a message. A message that you should hear. I thought this was an extremely timely read. Prejudice is a powerful thing and we need to make sure we don’t let people get carried away. The idea that your neighbors could quietly disappear and end up in internment camps is slightly horrifying to me. But what do you do if they don’t speak up? I’m not sure what would have happened if they had. I’m giving this 3 stars. 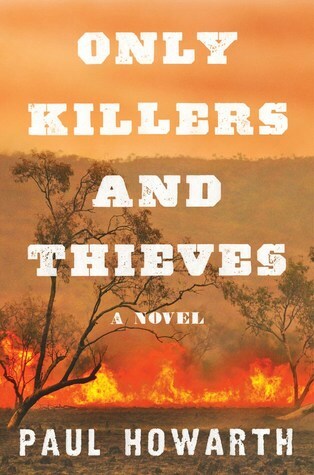 Only Killers and Thieves by Paul Howarth – I received this as an actual book from Goodreads. This is an interesting story of living in Australia in the 1880s. After a long drought and the hardships that result when there is no water or food for cattle, there is a rain storm. Two boys go to a nearby swimming spot and come back to find their family slaughtered. Their powerful neighbor convinces them to blame the natives and they go off in search of revenge. The younger boy, Tommy, begins to question everything about the situation and especially the motives of this powerful man that they have aligned themselves with. I thought this was an interesting perspective on a bit of history that I am not overly familiar with. I recommend this to anyone that likes a good story or who likes to learn about other cultures and a bit of history. As an aside, this book went to Maryland with me for the holiday and did not make its way back. I’m curious about who will read it next, but I will probably never know (unless my aunt happens to read it). I’m giving it 4 stars. That’s it. Just one more week left for 2017. Let me know what you think. This entry was posted in What I Read and tagged book club, Boston Bookworms, Boston Public Library, Dr Ribero's Agency of the Supernatural, Goodreads, Julie Otsuka, Lucy Banks, NetGalley, Paul Howarth. Bookmark the permalink.